There was also a baby among the five victims who were killed. The car the family were in collided with a trailer driven by a 41-year-old driver, transporting iron ore who lost control of his vehicle some 9km after the Menora Tunnel. 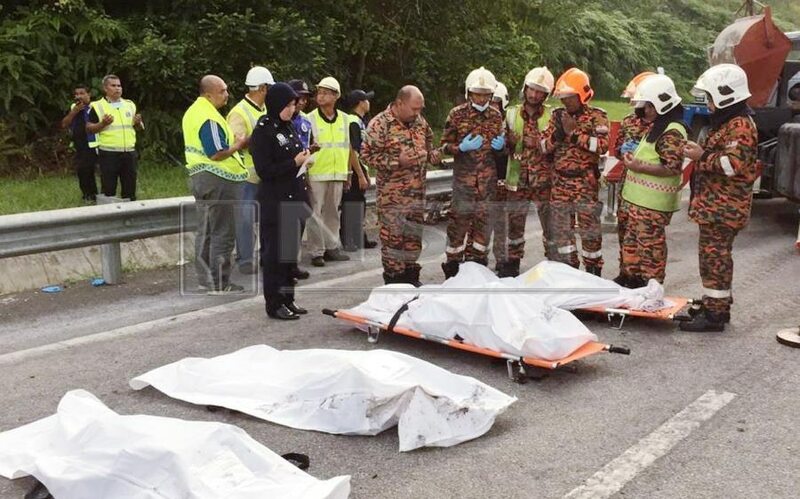 According to a report in The Star Online, which quoted State Traffic Investigations and Enforcement chief Supt Ahmad Adnan Basri, the trailer swerved to the right lane of the expressway, hitting several vehicles before dragging the car all the way to the right lane. "The car driver was squeezed between the concrete divider and the lorry. The car then burst into flames and all five occupants of the car were trapped," said Basri. Their remains were taken to the Kuala Kangsar Hospital. Meanwhile, according to Kuala Kangsar Fire and Rescue Department chief Mohd Taufiq Abd Sattar, the baby's remains were found underneath the others. "I saw everything with my eyes. I saw the trailer slowly hitting the car until it was sandwiched between the heavy vehicle and the road divider. "I was heading to Ipoh from Kuala Kangsar; I was passing by the scene and I could hear a woman’s voice in a low tone calling for help," the witness identified as Nur Amelia Amran told NST Online at the Forensic Unit of Kuala Kangsar Hospital. 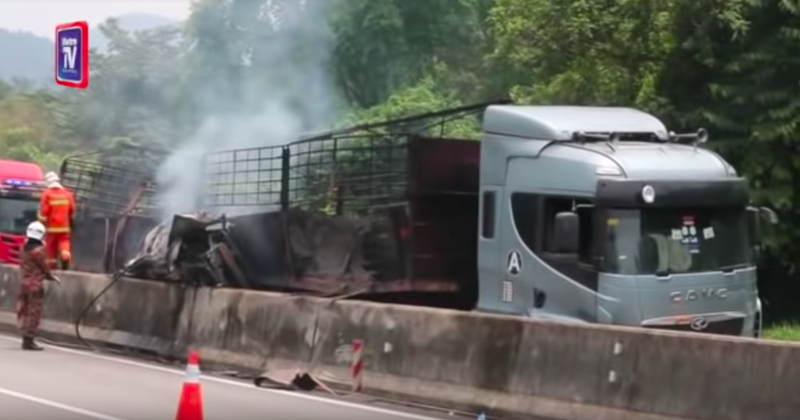 According to Amelia Amran, while many motorists stopped their vehicles to help the victims, they could not do anything as the flame was too strong.